Bitterroot Drug has served for over a hundred years as a gathering place for neighbors and is Montana’s longest continuously operated pharmacy. Montana natives Pete and Jeni Seifert are only the fifth set of owners in Bitterroot Drug’s history and have run the business for more than a decade now. Find us in Downtown Hamilton! Bitterroot Drug has served for over a hundred years as a gathering place for neighbors and is Montana’s longest continuously operated pharmacy. 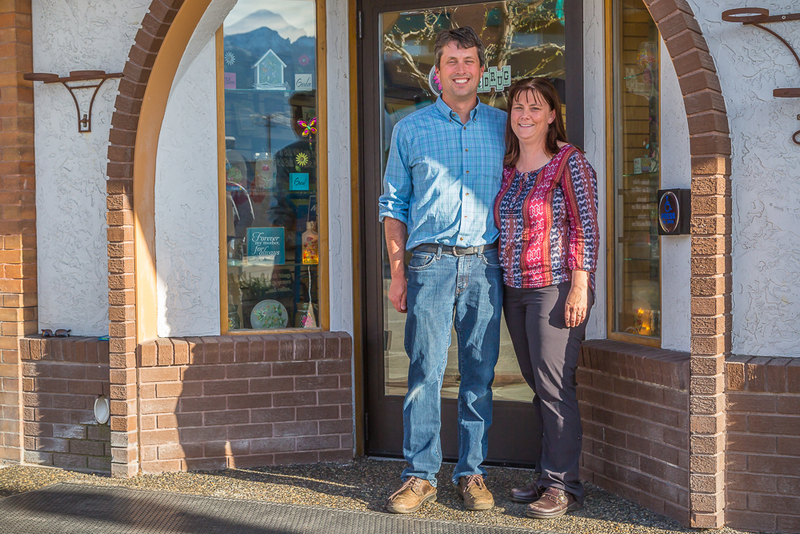 Montana natives Pete and Jeni Seifert are only the fifth set of owners in Bitterroot Drug’s history and have run the business for more than a decade now. The first licensed female pharmacist in Montana, M.M. Cone, was also the first manager of our pharmacy – established by copper baron Marcus Daly. Dr. Stephen McGrath, a popular Canadian doctor, took over the business in 1900 and moved it to Main Street. His pharmacy manager, Ben Ogg, took over the store until 1939, when Bob and Kay Hall bought the business. In 1969, it was Wayne and Helen Hedman’s turn to lead the pharmacy. Today behind the counter you'll find Pete Seifert, a graduate of the University of Montana Pharmacy School. Jeni Seifert, a former schoolteacher, manages the store. She is also involved with Families for Education, Bitterroot Ecological Awareness Resources (B.E.A.R. ), SAFT, the Hamilton School Board (trustee), and the Hamilton Downtown Association. Pete has been involved with the Lion’s Club and the Bitterroot Land Trust. Since taking over the store in 2006, the couple has spearheaded many changes, including a total remodel. They have been blessed with three children, Anna, Julia, and Claire.